Guest Teachers - RYTHUM PLUS DANCE CO.
Born in London, England, daughter of Robert Wyatt (songwriter and prog rock pioneer) and niece of Julian Glover (Star Wars, Game of Thrones, Harry Potter), she was surrounded by an eclectic bunch of musicians, hippies, film actors and authors. Alice was destined for the arts! As a dance luminary, Alice wishes to shine light on dance, dancers, and the arts community. Believing dance has a real quality and diverse energy that all can appreciate, Alice is also keen to bring dancers and dance schools together for the betterment of the community, guiding vocational students and all dance schools in her unbiased manner that can be truly helpful for all involved. As dance animator for the FirstOntario Performing Arts Centre, Alice is eagerly involved in outreach programs and bringing Niagara together to enjoy diverse and rich dance programming. Alice Burke also provides workshops, master classes, and private classes, providing excellent instruction wherever needed from herself and other global experts in dance and the arts. Alice Burke's career began at Harlow Ballet School where Leo Kersley, Principal of Sadlers Wells Royal Ballet (first husband of Celia Franca) took Alice under his wing. This ensured a unique insight into the professional and traditional world of Classical Ballet. After training in mainly Cecchetti and Bournonville technique, Alice also trained with The Royal Ballet School as a Junior Associate. Alice went on to graduate (on a full scholarship,) from the 'London Studio of Performing Arts' studying ballet, jazz, contemporary and voice. There, with such icons as Dame Beryl Grey and Dame Ninette De Valois, Alice went on to guest with several dance companies including 'London City Ballet’ and 'The Scottish Ballet'. Under the guidance of Bridget Espinosa, Alice blossomed into a triple threat. Alice has since enjoyed a diverse and successful career as a professional dancer, singer, actress and choreographer performing on stage and screen all over the globe. Accolades include: Cassie - Chorus Line; Janet - Rocky Horror; Mungo Jerry – Cats; Donna Marie – Blood Brothers; Guest Artist - Niagara Dance Co; Lead Adage and Dance Captain and Lead Production Singer for Carnival Cruise Line; Lead Dancer, Lead Adage and Rehearsal Director for Bodywork Dance Co (Tours included Germany, The Netherlands, Thailand, Ireland and England); T.A. for Pineapple Dance Studio London. Television credits include: Front Row and Timmy Mallet (ITV England) as a Lead Dancer and Backing Singer for Nigel Planer and The Dooleys. As a professional choreographer in Canada, Alice has created several award winning works for several dance companies, dance schools and theatre companies. Choreography Credits include: Narnia, Blood Brothers, Musical of Musicals the Musical. Plus, many overall winners at several national dance competitions. Alice has taught students worldwide, both professional and pre-professional. Her past students and company members are now flourishing in successful careers in Canadian National Ballet, Royal Danish Ballet, other Ballet and Contemporary companies, music videos, TV, film and London’s West End, to mention a few. Those went on to other careers have noted Alice's impact on their lives and carried it with them always. Alice is compelled to guide all students and their families to live a life enriched by the arts! Alice Burke's priority is to pass on everything she has experienced, shining a light on the future of dance whilst drawing on her rich history. Inspired to connect with our community through the arts, Alice has also volunteered with The United Way, RAFT and Gillian’s Place to provide and facilitate dance and yoga (as a certified yoga instructor) for vulnerable children and adults throughout Niagara. Christianna began to dance at the age of 3. She studied all forms of dance, competing and preforming throughout Canada and the United States - gaining over 25 years of experience. Being certified under Dance Masters of America in ballet, jazz, and acrobatics, she is highly respected by her peers in the dance profession. 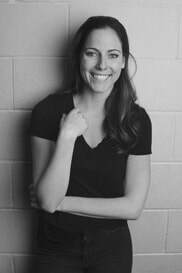 While still teaching, Christianna has been a freelance choreographer for the last 6+ years, choreographing for studios in the Toronto area, Ottawa, and New Brunswick. Her work has been recognized with many high score and choreography awards. With an incredible passion for dance, Christianna continues to share her knowledge, inspiring young dancers to push themselves to reach their full potential. Whether on stage before an audience or grooving on the kitchen floor, Alexandra has always expressed herself through the art of dance. Alex trained and competed in many forms of dance including tap, jazz, ballet and contemporary - but excelled in the more urban genres such as hip-hop. Hip-hop has allowed her to travel across Canada teaching workshops, and choreographing award-winning routines for crews competing in such competitions such as BYOB, Urban Rumble, and WOD. She currently choreographs street-jazz style routines for The Greg Frewin Theatre in Niagara Falls, and has performed nightly in the Las Vegas style show for over 10 years. She has traveled to perform on television programs including Good Morning America, The Today Show, Wendy Williams, Breakfast Television and Penn and Teller’s Fool Us - to name a few. She’s also had the opportunity to work countless stages around the world including California, Las Vegas, the UK and New York City, and recently was honored to have performed on Disney’s Cruise Line. Alex looks forward to continuing touring and teaching workshops, while meeting new talents the industry has to offer! Teresa Cirillo, a mother of three girls, is the Owner and Director of Studio E. Elise Bedard, Marta Greta, and Tom Oliver were her teachers and Teresa studied at Boston’s Berklee School of Music. An accomplished recording artist, Teresa has performed professionally in Europe and North America. In 1999, she won the Critics Choice Award at the Naples Festival of Song in Europe. She recently returned to perform in Italy. You’ll often catch Teresa singing the national anthem for professional sports organizations. Teresa's voice type is Soprano. She teaches many music styles including World, Pop, Opera, Jazz, Rock, Classical, and Musical Theatre. Danny began training at the late age of 13, and competed in Ottawa, Ontario until he was 18. Once he had graduated from high school, Danny made the move to Toronto where he was fortunate enough to train closely with choreographers Linda Garneau, Tiffany McLean, Eryn Waltman, and Leon Blackwood. During the summer of 2008, Danny began back-up dancing for the contestants of CBC's hit summer television show, "How Do You Solve a Problem Like Maria?" and soon after had the opportunity to dance for such artists as Kreesha Turner, Susie McNeill, Shiloh and Katy Perry. In December 2008, Danny appeared as a company dancer in Helix Dance Project's annual contemporary production entitled "RAIN: life in full bloom". During this time, Danny was also assisting choreographer's Clarence Ford and Sean Cheesman on the first season of CTV's "So You Think You Can Dance Canada". In 2009, he made it to the Top 14 spot on CTV's season 2 of "So You Think You Can Dance Canada". After the show, he had the chance to work closely with Blake McGrath on his new music video "The Night", as well as Shawn Desman's "Shiver" music video and Keisha Chante's "Table Dancer" music video. He then went on tour with Blake McGrath promoting his new album, "TIME TO MOVE" and filmed two new feature films entitled "Frenemies" and "Make Your Move 3D". Danny then made the move to Los Angeles and assisted Mia Michaels at JUMP Dance Convention and various other projects. He also just finished assisting Dee Caspary and Ray Leeper for their Top 16 and Top 10 duets on SYTYCD. Danny continues to train in all styles and verse himself in many different forms of dance. He is constantly taking, and teaching class around Toronto and LA, and continues to audition as much as possible. Gerard is a graduate of Canada’s National Ballet School and has been teaching, performing, and facilitating master classes worldwide for over twenty-five years. Along with adjudicating for countless dance competitions, he is equally well known for working with dancers at all levels, to achieve their highest technical and performance potential. Gerard has taught ballet, broadway jazz, and voice in the professional ballet program at Canada’s National Ballet School, and has been accredited with his TTPPD (Dip) NBS, graduating with Distinction, from the Teachers Training Program for Professional Dancers. He has been honored to receive both the 2013 Carole Chadwick Award and 2014 Sylvie M. McPhee Award, presented by the NBS’s artistic ballet staff for Outstanding Teacher Recognition, and has been mentored by world-renowned Ballet Masters such as Mr. Sergiu Stefanschi, Ms. Debra Bowes, and Ms. Laurel Toto (head of the Junior Professional Ballet Program at NBS). Gerard is also a member of the Professional Adjudicators Alliance (PAA), and certified ballet instructor with the International Dance Teachers Association (IDTA), a Mutually Recognized Teacher (RAD, MRT) with the RAD Association, has coached young artists for the Youth American Grand Prix, and is a recognized freelance ballet choreographer for artists within this genre of dance. Gerard has also led ballet master classes and is a certified ballet facility member and adjudicator for Dance Master’s of America, and also facilitates Professional Development Workshops for dance teachers within the industry relating to subjects such as dance pedagogy, music, class construction, and approach to teaching dance within all levels and classifications, to name a few. Highlight’s of Gerard's professional performance career include: THE NUTCRACKER, (The National Ballet of Canada); CATS, Mr. Mistoffelees (Original Can. Cast/Nat. Tour); MISS SAIGON, Dragon Acrobat & Ensemble (London, Eng. - West End); JOSEPH AND THE AMAZING TECHNICOLOR DREAMCOAT, Napthali (London, Eng. - West End); SHOWBOAT, Assistant Dance Captain/Ensemble (Toronto/US Nat. Tour/London, Eng. – West End); BEAUTY AND THE BEAST, LeFou (US Nat. Tour); THE HANDMAID’S TALE and DEATH IN VENICE, Dance Ensemble (Canadian Opera Company); HAIRSPRAY THE MOVIE!, Dance Ensemble; CANADIAN IDOL SEASON 3, Ensemble; SYNCHRONICITY (Japan Tour), with Jennifer Lopez; RAINDOGS, Choreographer & Creative Consultant (Theatre 20, Toronto). Gerard’s professional credits and vast experience as a qualified dance educator, along with his boundless energy and enthusiasm for inspiring young artists, makes him a well-rounded, multi-skilled addition to our esteemed faculty. Gillian began her dance training as a competitive dancer at the Rythum Plus Dance Company in Stoney Creek, Ontario. She is an alumnus of the Randolph Academy for the Performing Arts in Toronto where she studied musical theatre, and she is a graduate of the Toronto Second City Conservatory Program where she studied improvisation and sketch comedy. Gillian was a finalist on CTV's So You Think You Can Dance Canada Season 2. She has been listed as the Top Ten Comedy Acts of 2014 for her Toronto Fringe Festival smash hit "Everything is Fine…" which she wrote, produced and performed in. Her latest sketch revue "Panacea!" was also given 5 Ns in NOW Magazine. Gillian performs every Sunday as a member of the Canadian Comedy Award winning sketch troupe, The Sketchersons in the show Sunday Night Live at the Comedy Bar in Toronto. ​Her curiosity and willingness to learn has led her to harness many different skills from a variety of art forms such as dance, acting, singing, improv, sketch comedy, writing, and yoga. In all areas of performance and teaching, she focuses on the foundation of being present and having intention. Let's dance!! !